ALEXANDER THE GREAT (1956). If nothing else, writer-director Robert Rossen’s take on the life of the legendary Greek conqueror is at least preferable to 2004’s ghastly Alexander, still the worst film made by the once-mighty Oliver Stone. Otherwise, this is yet another lesser entry in the canon of gargantuan historical epics from the 1950s, closer in turgidity to 1959’s Solomon and Sheba (with which it shares a composer in Mario Nascimbene) than in splendor to 1959’s Ben-Hur. Richard Burton stars as a boyish Alexander who has to contend with daddy issues before he moves forward with conquering the world and proclaiming himself a god. Fredric March co-stars as his pop, the Macedonian king Philip II, and the most notable battle on view in this picture isn’t any of the skirmishes between Alexander’s army and the opposing forces but the effort between Burton’s blonde wig and March’s shaggy beard to upstage each other in grievous grooming. As General Memnon, Alexander’s sworn enemy, Peter Cushing delivers a fine performance in a film that opened a mere year before he and Christopher Lee became horror superstars thanks to the Hammer brand. Amusingly, an uncredited Lee provides the voice for the Egyptian character played by Helmut Dantine, so does this means that Alexander the Great can be considered one of the many Cushing-Lee collaborations? Blu-ray extras consist of an interview with co-star Claire Bloom; the theatrical trailer; and an isolated track of Nascimbene’s score. ANASTASIA (1956). Thanks to such pictures as Gaslight (for which she won her first Oscar), Spellbound and, of course, Casablanca, Ingrid Bergman was one of the hottest actresses in America during the 1940s, but that love affair ended when she began her own love affair in 1949 with Roberto Rossellini (and bore a child out of wedlock) while still married to her first husband. Religious leaders sputtered while politicians fumed (one even denounced her as “a powerful influence for evil”), and it took seven years until this country finally “forgave” her by turning out for her starring role in Anastasia. She plays Anna, a destitute woman whose resemblance to the daughter of Russian Tsar Nicholas II and the only family member rumored to have survived the execution by Bolsheviks prompts the scheming Bounine (Yul Brynner) to pass her off as the genuine article in an attempt to tap into a sizable bounty. But could she actually be the real Anastasia? The romance between Anna and Bounine seems like an afterthought, but other story strands prove compelling, particularly those involving the Dowager Empress (a wonderful Helen Hayes). 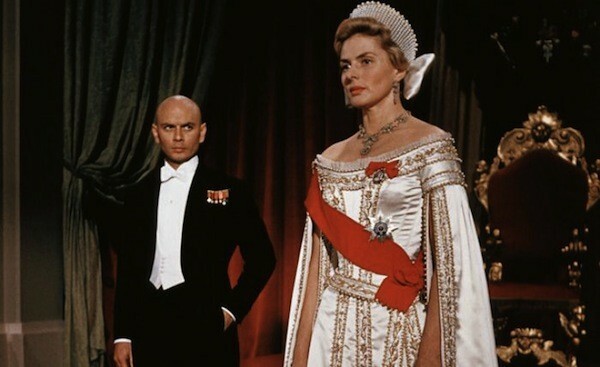 Bergman captured the Best Actress Oscar for her excellent performance; for his part, Brynner nabbed Best Actor for another 1956 release, The King and I.
Blu-ray extras include audio commentary by screenwriter Arthur Laurents, actor (and Hayes’ son) James MacArthur, and film historians Jon Burlingame and Sylvia Stoddard; separate audio commentary by film historians Julie Kirgo and David Del Valle; and an isolated track of Alfred Newman’s Oscar-nominated score. BRIDE OF RE-ANIMATOR (1989). It would probably be cruel and unjust to state that Bride of Re-Animator hews closer on the quality scale to Ed Wood’s Bride of the Monster than to James Whale’s Bride of Frankenstein, but as a follow-up to 1985’s Re-Animator, it’s certainly a major disappointment. 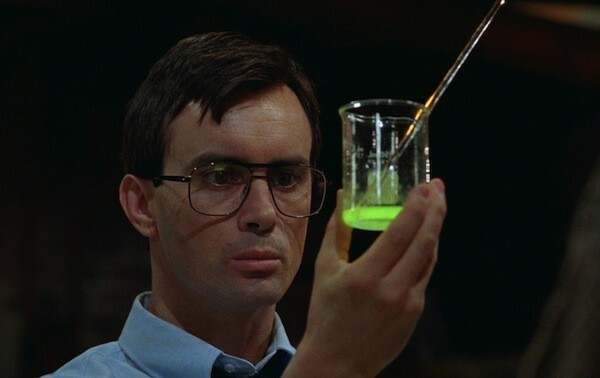 Arguably one of the most beloved “B” horror flicks of the ‘80s, the first Re-Animator found medical student Herbert West (Jeffrey Combs) using his school’s facilities to revivify first a cat, then a cadaver, and finally deceased colleagues – all with increasingly frenzied results. The combination of gonzo effects, Combs’ hilarious performance, and a screenplay dripping with tongue-in-bloody-cheek wit (the “giving head… literally” scene is classic) led to its emergence on home video as a cult favorite, a status not accorded this desultory sequel. Combs again dominates the proceedings as the always-say-die West, and there are a few trippy effects to excite the faithful. But Stuart Gordon, who directed Re-Animator and co-wrote its screenplay (adapted from H.P. Lovecraft), was out of the loop on this one, and Brian Yuzna can only offer a formless regurgitation that’s nowhere near as clever or caustic as its predecessor. The Blu-ray contains both the R-rated and unrated versions. Extras include audio commentary by Yuzna; separate audio commentary by Combs and co-star Bruce Abbott; a piece on the visual effects; and a vintage making-of featurette. ONLY ANGELS HAVE WINGS (1939). 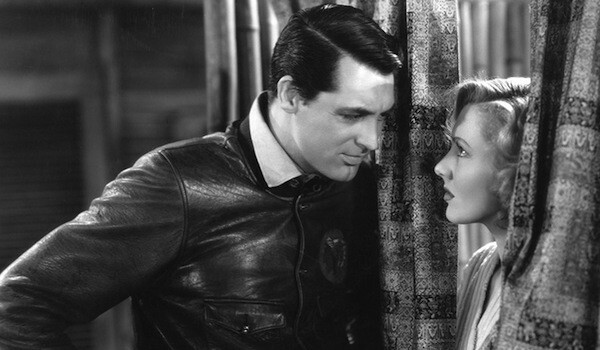 Only Angels Have Wings is a typical Howard Hawks production, which means it's aces all the way. Hawks' world consisted of macho guys performing daring tasks, tough women who could hold their own against the boys, razor-sharp dialogue that flew off the lips, and a sense that camaraderie mattered more than anything else in the world. It’s a template wonderfully employed by the director in such classics as Rio Bravo, The Big Sleep and His Girl Friday – here, the framework is transplanted to an airstrip in South America, where pilots working for a transport company headed by the fearless Geoff Carter (Cary Grant) risk their lives on a daily basis flying over rugged terrain in less than ideal conditions. Jean Arthur, Rita Hayworth and workaholic Thomas Mitchell (five films in 1939 alone, including his Oscar-winning turn in Stagecoach) lead a sterling supporting cast in this rock-solid adventure yarn which earned Oscar nominations for its visual effects and cinematography. Blu-ray extras include audio excerpts from a 1972 conversation between Hawks and filmmaker/historian Peter Bogdanovich; a discussion of Hawks’ aviation films by Oscar-winning visual effects supervisor Craig Barron (The Curious Case of Benjamin Button) and multi-Oscar-winning sound effects editor Ben Burtt (Star Wars); and the 1939 Lux Radio Theatre adaptation of the film. 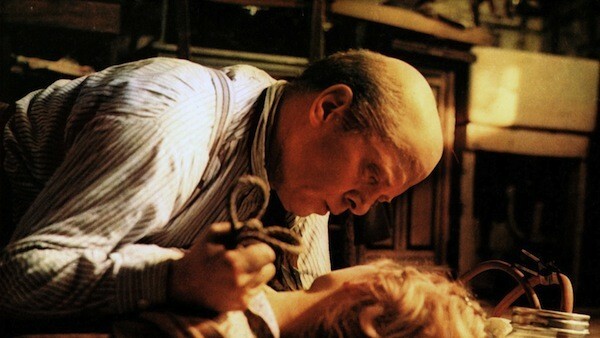 10 RILLINGTON PLACE (1971). The banality of evil takes on a slightly different chill in 10 Rillington Place, an effectively low-key drama about a banal nebbish committing unspeakably evil acts in his Notting Hill flat over the course of a decade. Richard Attenborough, generally more interesting as an actor than a director, gives a formidable performance as John Christie, who (in most cases) raped and (in all cases) murdered at least eight women and then buried their bodies on his property. Christie’s killing spree began while World War II still raged, but this picture primarily focuses on the 1949 incident that eventually helped put the kibosh on capital punishment in the U.K. John Hurt plays the linchpin in this legal upheaval: Timothy Evans, an illiterate bloke who moves into Christie’s building with his wife Beryl (the always-welcome Judy Geeson) and their infant daughter and eventually becomes the fall guy for Christie’s heinous crimes. Hurt’s powerful turn – all raw feeling and exposed nerves – offers a nice contrast to the wispy, whispery emoting of Attenborough, and the fact that the movie was shot at and around the real Rillington Place (now long gone) only adds to the grimness. Blu-ray extras consist of audio commentary by Hurt; separate audio commentary by Geeson and film historians Lem Dobbs and Nick Redman; the theatrical trailer; and an isolated track of John Dankworth’s score. VILLAGE OF THE DAMNED (1995). This dud was the second screen adaptation of John Wyndham’s novel The Midwich Cuckoos, but whereas the 1960 version (with peerless George Sanders) was eerie and intriguing, this take is awkward and ugly. As before, the story centers on a sleepy town enveloped by a mysterious, unseen force. Soon after, many of the local women become pregnant, eventually giving birth to malevolent children with the power to read people’s minds and manipulate them into causing harm (to themselves and others). Stranded in the midst of a gruesome decade which witnessed a massive erosion of the skills that had served him earlier in his career, director John Carpenter (who has admitted that this was a for-hire project) is unable to generate anything resembling suspense or even basic narrative fluidity – a far cry from the heady days of Assault on Precinct 13 and The Thing. 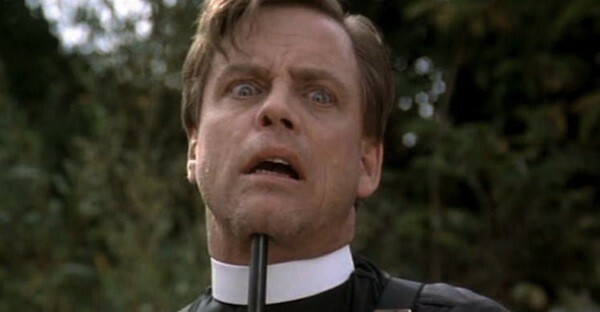 As a sympathetic widow, Linda Kozlowski (primarily known for the Crocodile Dundee flicks) fares best; at the other end of the spectrum, Kirstie Alley is unbearably stiff as a scientist while Luke Skywalker himself, Mark Hamill, appears ill-at-ease as the local minister. As for top-billed Christopher Reeve (playing the town physician), it was one month after this film’s release that he suffered the tragic equestrian accident that left him paralyzed. Blu-ray extras include a making-of featurette; vintage interviews; a photo gallery; and the theatrical trailer.